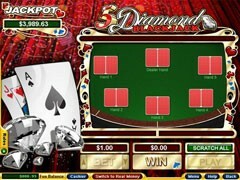 Vegas Downtown blackjack received its name from the famous Las Vegas Downtown. 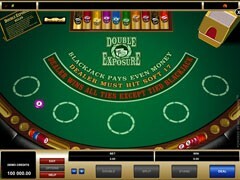 The downtown of Las Vegas is one of the best places to gamble. 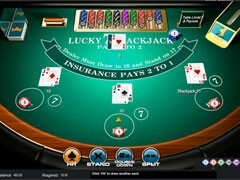 Vegas Downtown Blackjack is offered at casinos powered by Vegas Technology company. 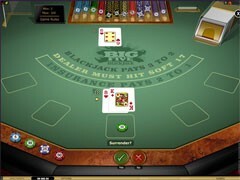 This game has got quite similar rules with the rules of Classic Blackjack. At the same time this modification if quite profitable for players. 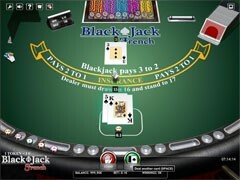 The house edge is much smaller here than in other blackjack variations. 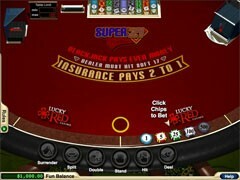 The goal of the game is to beat the dealer. 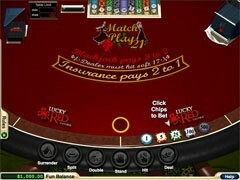 At the same time the player should not exceed 21 points. 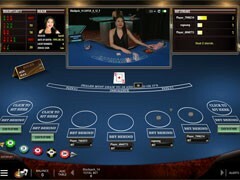 In the very beginning the player has to make his bet. 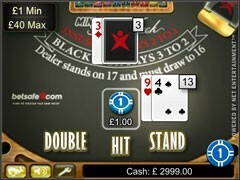 Then he is dealt two face up cards. 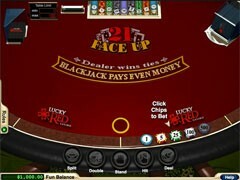 The dealer is also dealt two cards (1 face up and 1 face down). 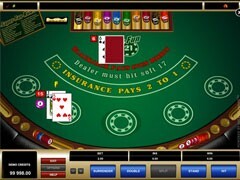 The dealer checks his face down card if he has got Ace or Ten face up. The dealer checks if he has got a blackjack. In this case he automatically wins. 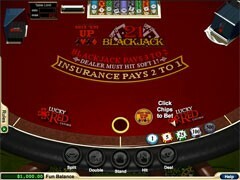 Vegas Downtown Blackjack is player with two 52-cards decks. The dealer must hit on soft 17. Thus you should think carefully about your strategy. The player has got standard possible decisions – to hit, to stand, to double and to split. 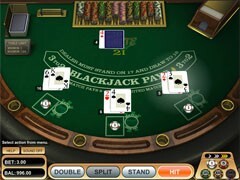 In this game the player is allowed to split hole cards if they make a pair. 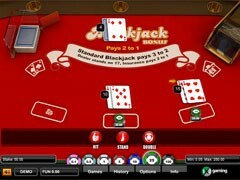 The player is also allowed to split hole Aces. 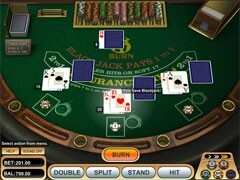 But in this case if the player receives Ten it doesn’t form a blackjack. 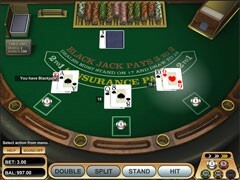 Thus the player has got 21 points but not blackjack. 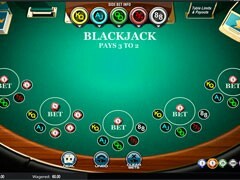 This means that the player can be beaten by the dealer if he has got blackjack. 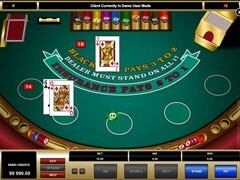 You should also keep in mind that the player is allowed to take only one card per each hand after splitting Aces. 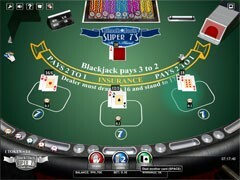 One more thing about splitting in Vegas Downtown Blackjack. 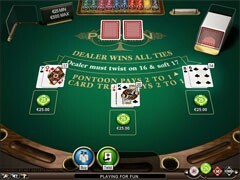 The player is allowed to split any two cards with the value of 10. 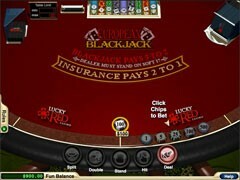 This means that the player can split initial cards like JK, QJ etc. 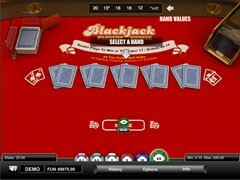 Blackjack is paid in Vegas Downtown modification with the ration 3:2. 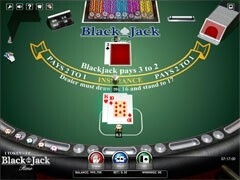 This means that your $20 bet with blackjack will pay you $30 on top of your wager. 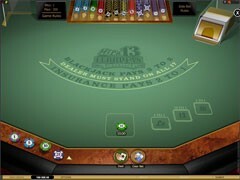 All other winnings are paid with the ration 1:1. 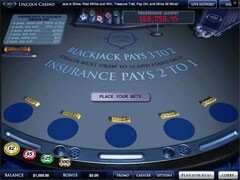 The rule of insurance is used in Vegas Downtown Blackjack. 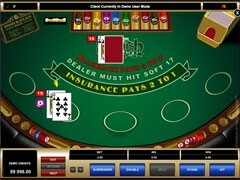 This means that the player can pay insurance if he thinks that the dealer has got blackjack. Insurance cost is ? 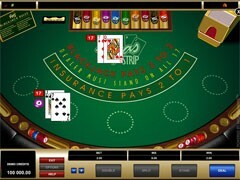 size of the initial bet. 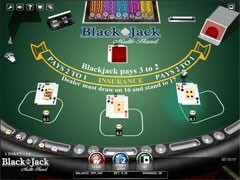 If the dealer has got blackjack the player receives 2:1 insurance bet. 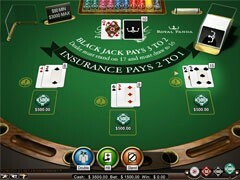 If the dealer doesn’t have a blackjack the player loses his insurance. 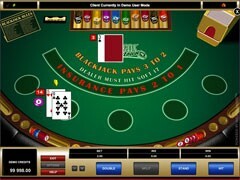 Vegas Downtown Blackjack is extremely easy game to play with no twists in rules. 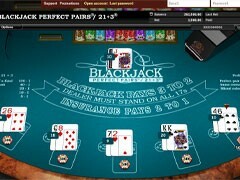 Thus even beginners will be able to master this simple blackjack game.